Discussion in 'Gaming and PC Discussion' started by Midknight, Dec 14, 2008. If you find that your information is not present, or wrong, please post here and let us know, and it will be changed and/or added for you! Profile > Edit Profile from the right side list of links. There is this awesome steam signature generator website. If you use the status option, pictured above, it adds two images. One linking back to their site with status info. 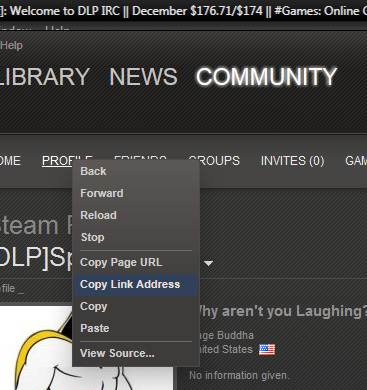 The second one is a link with the steam protocol link for adding friends. In Stupid, it means if you have the steam client installed, you can click it and add that person to friends list without ever opening steam and manually searching. Now with League of Legends tags, at the bottom of the list. 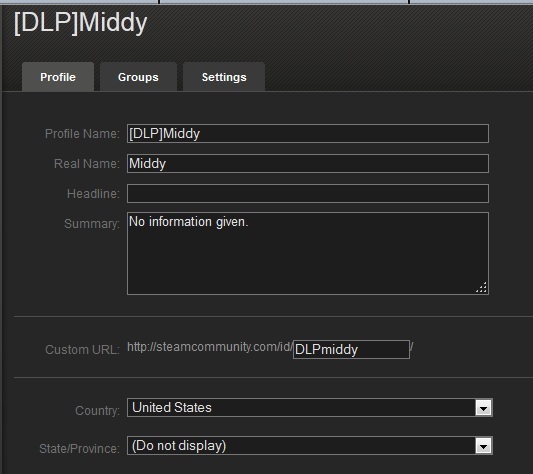 Join the DLP steam group to make it easier for us to send messages if there's going to be a giveaway or contest. Reminder: If you don't have your steam info in here, give it if you're planning on being a part of the Santa stuff. For those who want to use it, bbcode to add a userbar image link to your steamshits. See mine as example image. As I'm getting tired of doing it myself, I've decided to give you fucks the chance to prove yourselves trustworthy and opened editing privileges. Added Origin category. Midknight00711 is one of mine, as is Midkn1ght007. I primarily use Midknight00711 for BF3, and it's also my xfire handle. Remember when you posted money to me so I could buy you TF2 on steam, and from the note you wrote my mam thought you had brain damage? Haha, what did the note say again? That was like three years ago. Does she ever ask about your "special" Donegal friend? For those of you using the SteamSignature.com one which Vash linked, make sure to change the link URL to your Steam profile afterwards. Eg. Don't forget to change it like Vash did. steamsignature.com and steamsigs.com have been bad for a while now. Their sig images only seem to work half the time, and that's being generous. I'm using www.mysteam.info at the moment. It's not as nice as the old ones, but at least it works consistently. I was told to come here. PSN: houseofhorrors, Origin: Kisekiki, Steam. Now had a PS3 and PS4, so PSN is Midknight00711. I'm usually on Battlefield for an hour or two a night to unwind.